Great stuff, Andy - and all of you, of course. Great vocal as always Andy….love it …stick are slick…..
Let Me Rest rocks big time!!!!!!!!!!!!!! 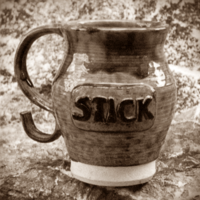 Stick was a four piece band who operated around the turn of the century in the South London area. These recordings come from a CD recorded in 1999.